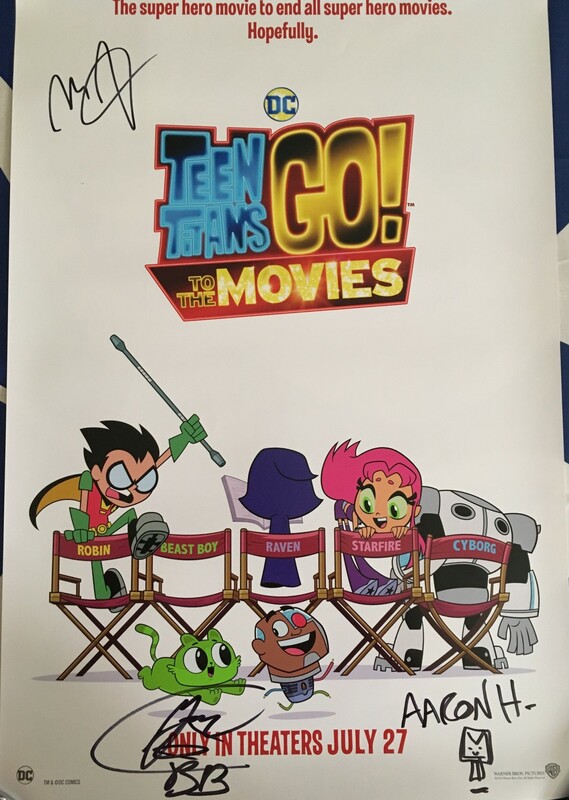 13 by 20 inch Teen Titans Go! 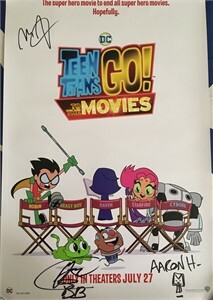 To the Movies poster autographed in black marker by voice star Greg Cipes (Beast Boy) plus producers Aaron Horvath and Michael Jelenic. Obtained in person at limited 2018 Wondercon signing, with photo from the signing and certificate of authenticity from AutographsForSale.com. 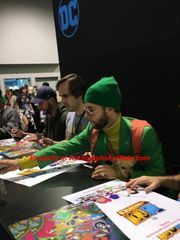 SIGNATURES MAY VARY SLIGHTLY AS WE OBTAINED MORE THAN ONE POSTER AT THIS SIGNING.